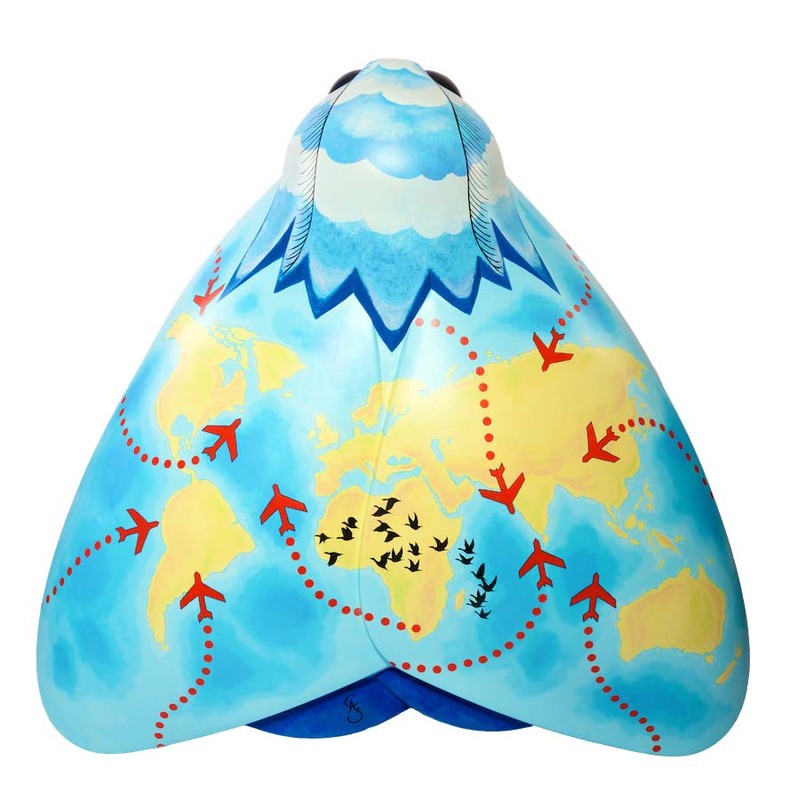 The artist was interested in the impact of aviation on the modern world, and takes the idea of the Gipsy Moth as the name of both an aeroplane and insect. The natural world is increasingly being taken over by the manmade one, and this design shows a map of the world in all its organic beauty, contrasting with the clean artificiality of the aeroplanes and their flight paths. The design also includes a flock of migrating geese to serve as a light reminder of who conquered the skies first. Cathy Simpson is an illustrator and cartoonist who was intentionally born in Hull so she could play cricket for the Yorkshire team. She has illustrated many books and greetings cards, and is one of the few female members of the Professional Cartoonists Organisation. She has worked in art education, community arts and as an artist in mental health, but has now moved back to her studio. Her work is always intended to delight and amuse. Marion Owen Travel is a company born out of a real passion for travel. Established in 1993, Marion and her team have travelled the globe extensively. The company offers a full travel service using the team’s knowledge and experience to create tailored holidays and cruises anywhere in the world.